Police often patrol bridge to stop people from jumping. 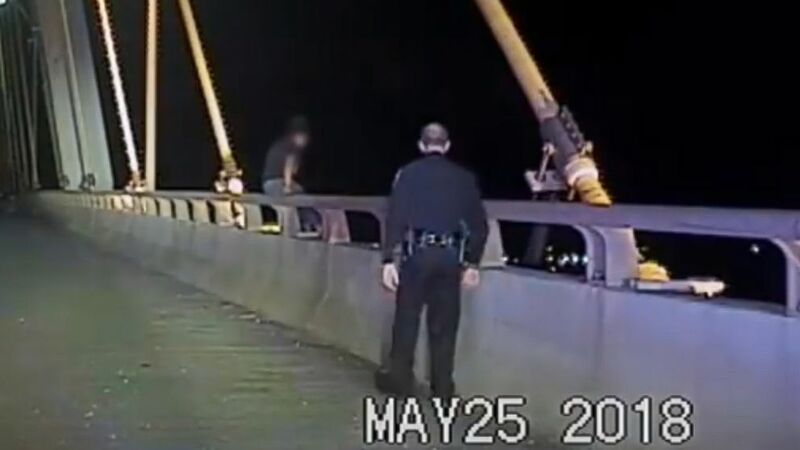 Newly released dashcam footage shows Texas police officers snatching an apparently distraught woman from the edge of a 180-foot bridge as she sat precariously with her legs dangling over the Houston Ship Channel. That seemed to be enough of a distraction for the two other officers to pull her to safety. 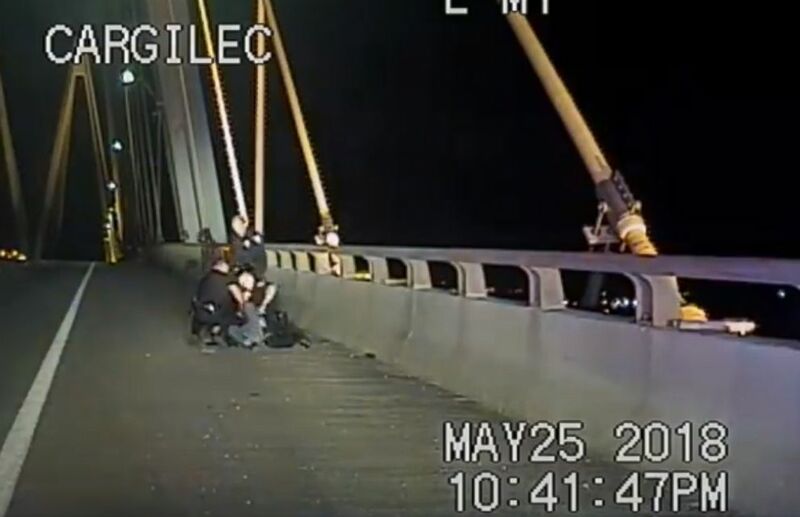 “The officers made the right call pulling her off the bridge in case she was still contemplating because even a vehicle driving by can accidentally knock someone off,” La Porte Police Department Sgt. Bennie Boles said. 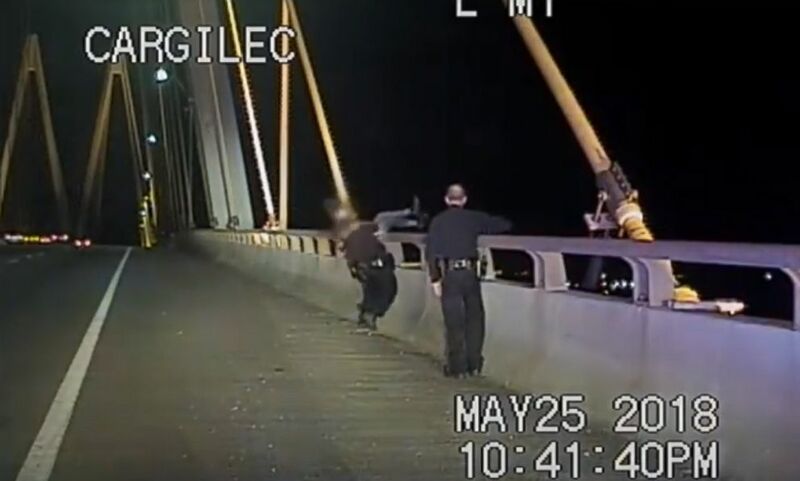 (La Porte Police Department) La Porte Police Department pull a female from the Fred Hartman Bridge, in Texas, May 25 2018. Police there routinely patrol the bridge, which connects Baytown and La Porte, looking for vehicles stopped on it, hoping to prevent people from jumping or contemplating jumping, Boles said. “When we get calls, and the person has not jumped, we’ve got a real high success rate,” Boles added. The woman was taken to a hospital for psychological evaluation and treatment, according to the La Porte Police Department.